Subscribe: Click to receive recipes, tips, updates, and more. Inquire: Learn about the Chef's services, and submit a service request. Here is a sustainable foraging basket with fresh picked papaya and indigenous vegetables before a wonderful sunset dinner in Majajani, Kilifi. Njathi Kabui is an internationally celebrated organic chef, urban farmer, and food activist. His work has been featured in interviews in the WUNC's "The State of Things," and in Kenya on Nation TV and INOORO FM. Listen to his perspective on famine in South Sudan, Nigeria, Yemen, and Somalia on WAMU's nationally syndicated NPR program "1A." Kabui has spoken most recently at live events at The Smithsonian Center for Folklife and Cultural Heritage, UC-Berkeley, Duke University, UNC-Chapel Hill, Appalachian State University, Johnson C. Smith University, The North Carolina Museum of History's African American Heritage Festival, and internationally in Dubai, the Netherlands, and in Kenya on INOORO FM and Nation TV. Listen to his 2015 talk at Elon University, "Eating African Wisdom." You can find his essay "Eating as an Expression of Self-Worth" appears in the book "Mindful Eating," available for purchase this fall. You can find more of his writing here on the Chef's blog. Kabui was born in rural Kenya to a coffee farmer mother and restaurant owner father, both of whom took an active role in the Kenyan independence movement. Immigrating to the United States at the age of 20, Chef Kabui earned Masters degrees in both Medical and Urban Anthropology at the University of Memphis and a Bachelors in Political Science and Philosophy Studies at the historically black LeMoyne-Owen College. He now leverages his rich legacy by sharing his extensive knowledge of farming, culinary skills, and food justice as he travels across America, Europe, and Africa. He is committed to changing the way society views food, justice, and sustainability. In college, Kabui started speaking and doing community organizing work around issues of social justice. Early in his work as an activist, he advocated for fair housing and healthy eating. He spoke to urban elementary school students about achievements in African history and the importance of academic progress for African American youth. He also shared widely the effects of colonialism on Kenya and the traditions of his native Gikuyu indigenous group, connect struggles abroad to those happening in the U.S. He founded The Association of African Students at LeMoyne-Owen College, showcasing African culture during African History Month, a tradition that continues to this day. In 2004 he founded a youth empowerment and community organizing group in the NC Triangle area for cultural and intellectual development and to improve community interdependence and self-reliance. Chef Kabui grows a great deal of the food that he eats and serves his friends and family, and has long been involved in training others to do the same. 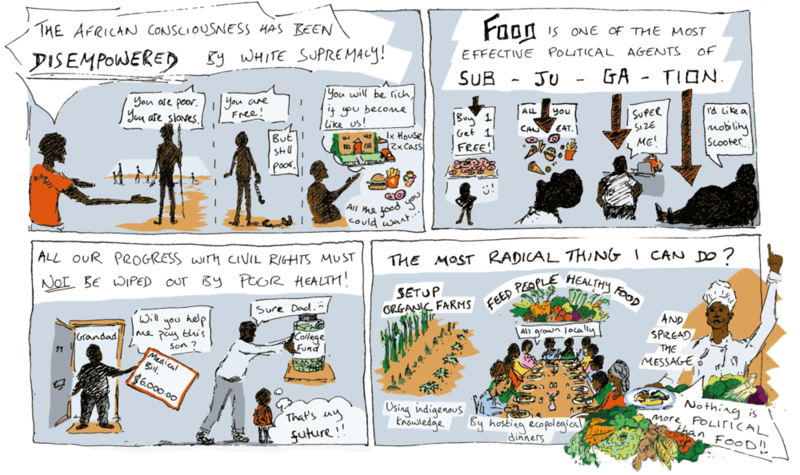 He led a community farming group that built food gardens for members to strengthen community ties and promote food sovereignty by working together to create sources of local food. He also ran a demonstration farms in Durham and Apex, NC to educate people on intensive urban agriculture. 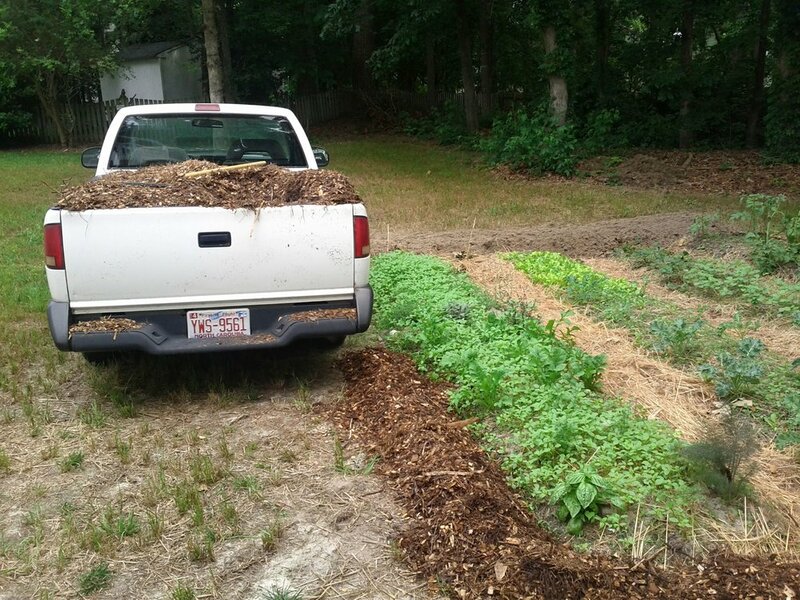 He now educates about farming from his intensive vegetable garden in Moncure, NC. 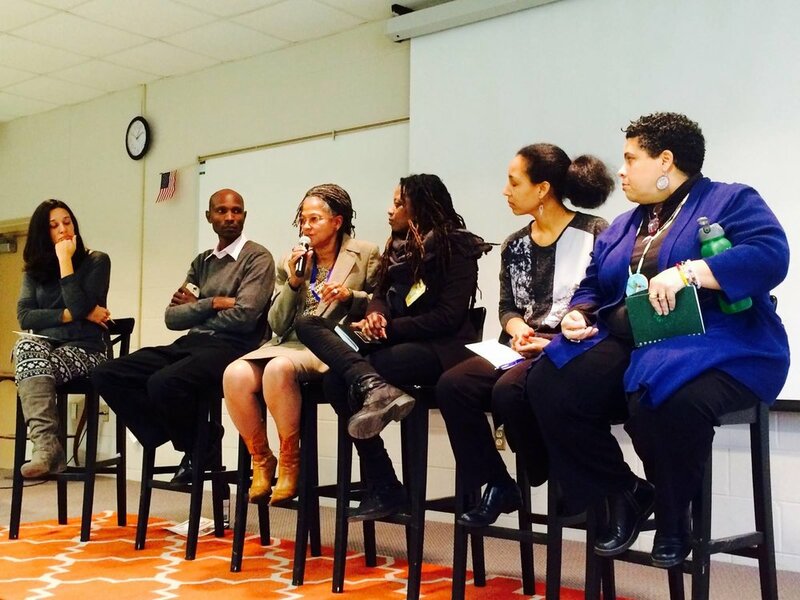 Chef Kabui is a dynamic speaker on issue of food, race, and social and economic justice. He speaks at various conferences and economic forums. He is also a regular presenter at college campuses, elementary schools as well as cultural and civic institutions. Chef Kabui hosts fine, multi-course dinner on farms and in urban settings, and also serves as a guest chef at restaurants. His talks and hosted dinners are often employed by organizations raising money for social and sustainable causes. As an indigenous elder/teacher, he offers workshops around food, race, and justice issues. He keeps a garden and offers advice on most things food, from seed to plate. Please fill out the form below to inquire about the Chef's ability to provide any of the services above. It is recommended to reach out well in advance of your event to assure a spot on the Chef's schedule. The Chef welcomes donations of any size to support the efforts below. Chef Kabui is a big advocate for land ownership, especially for people of color. He makes direct connection between the health disparities and the income disparities with the decline of land ownership among people of African descent in the U.S. In the U.S, Chef Kabui and his friend Stuart Jeckel bought a farm in Moncure. They call the farm The Granary Farm. The farm is located in a community that has about seven families, has a bigger community farm, a cemetery, a home school co-op (Dimensions Family School of Chatham) and about 130 acres of wooded area. The farm's name and mission is based on the indigenous wisdom of the Gikuyu who had granaries along the walking highways where people in the nearby community would put cooked food for the travelers to eat for free. Anybody could go in and eat, but could not take anything with them. There was no need to take anything, because there would be other granaries along the way. The farm hosts dinners with small and big groups, with conversation being part of the menu. Some guest spent a weekend away from the hustle and bustle of their busy lives. Others come just for the day. Guest also come to work on the farm during the day to grow the food prepared during dinners. The farm is geared towards learning more about indigenous wisdom that many of us have forgotten. 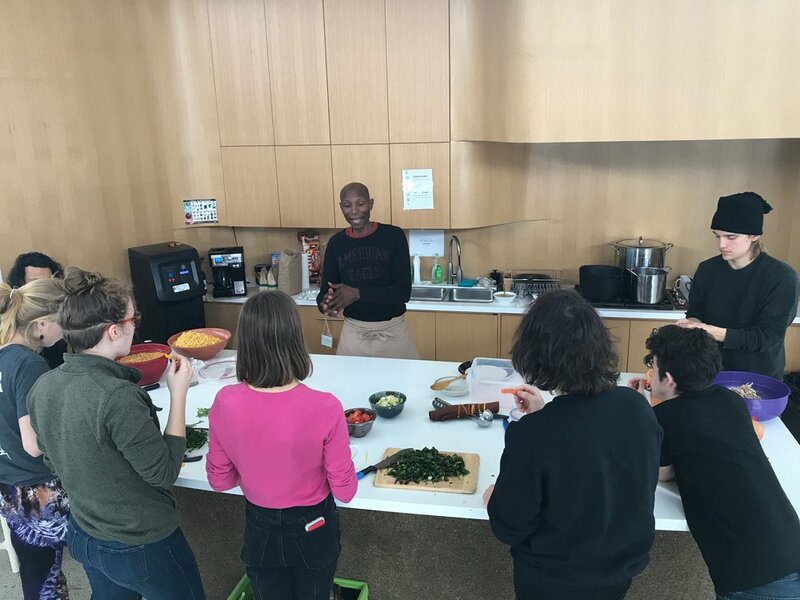 Chef Kabui is delighted to offer to children today the farm experience he had as a boy, especially for the immigrant families whose parents have a farming background but whose children do not have a similar connection to the where their food come from. Chef Kabui started Organic Chef Farms in Kitengela, about half an hours drive from the capital city, Nairobi. The farm offers youth an opportunity to learn about sustainable ways to produce healthy food and also ways of making a living as a farmer. The farm offers healthy food to the local community. The farm uses organic and permaculture growing methods. Chef Kabui offers workshops and training on healthy cooking during his visits to Kenya. The farm has been sustained through collaboration with various groups and individuals both here and in Kenya. The farm is looking forward towards having interns from the U.S, especially African Americans, interested in making a connection with Africa. 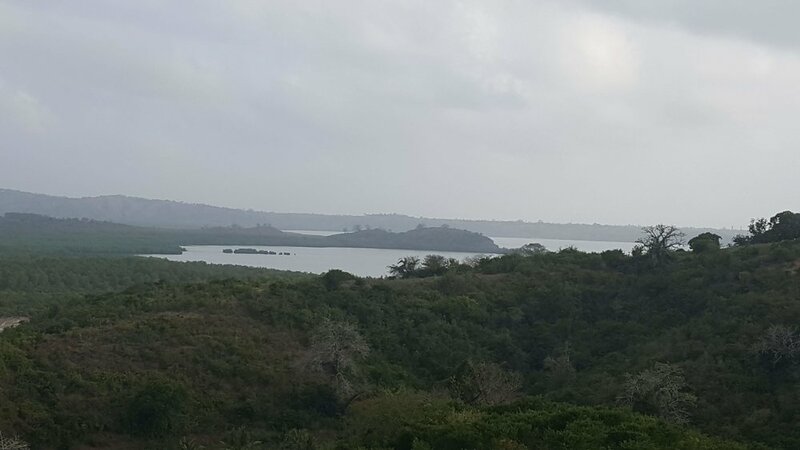 Chef Kabui has four farms in Kilifi County, near the Indian Ocean. The area is a textbook example of the intersection of slavery, colonialism and poor governance. The area has been plagued by those problems for over five hundred years. With poor infrastructure and flagging economic development, locals find it difficult to meet their food needs. 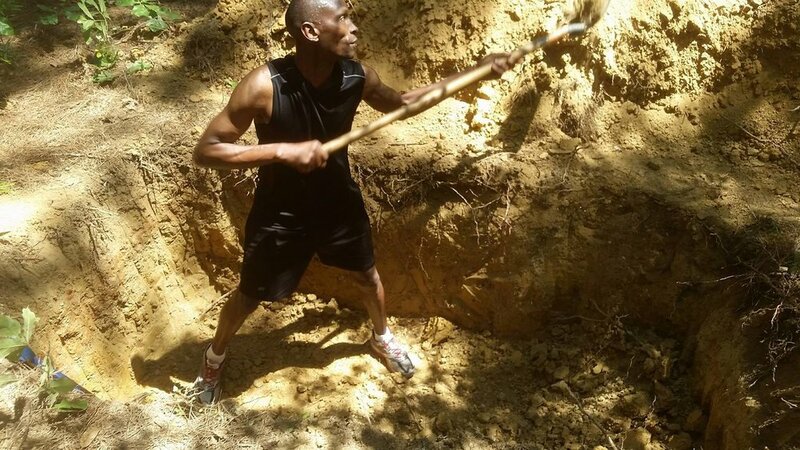 Chef Kabui is working to create a demonstration farm in the Magogoni area to stimulate the local economy, and is planting trees to stem the impact of climate change. Another farm is experimenting with growing indigenous foods that are drought resistant and nutritious, such as moringa and teff. Water access and food literacy are major problems in the area. Many people are too reliant on corn, a crop whose yields have suffered due to climate change. 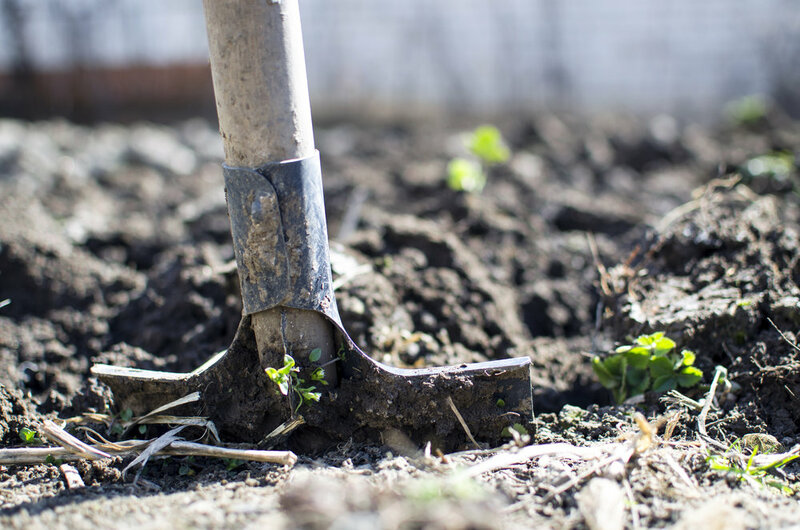 Young people have the opportunity here to learn to grow food in sustainable ways. They have access to the Chef's land to farm and earn a living for themselves. Chef Kabui has planted a forest of local trees in a farm in Majajani, about 15 minutes from the town of Kilifi. By 2019, the trees will provide cover for grass that will be used for raising livestock. Chef Kabui also supports a tree nursery in Shibe, run by a family who sells trees to local farmers. They plan to begin selling fruits and herbs in the near future. Chef Kabui has a vegetable farm and orchard in Naivasha. He also keeps some dairy cows for milk. One young man who needed land to farm manages this farm with the Chef's training and assistance. This is a pilot project for making land owned by those in the Diaspora available to local youth to produce healthy food for the country and to empower them to provide for themselves a better quality of life. This is chef Kabui's ancestral home. While this land is used for growing trees, it is a perfect area to have poultry for a young person in the new future. The area has a reliable source of water and the climate is great for poultry, and easily accessible by road. Johnson Wales University in Charlotte NC for Earth Day Celebrations. Chef Kabui will be doing a food tour in Kenya speaking at various schools and companies about sustainability. He will be visiting Kilifi too where he is setting up several organic farms and a Permerculinary Academy. 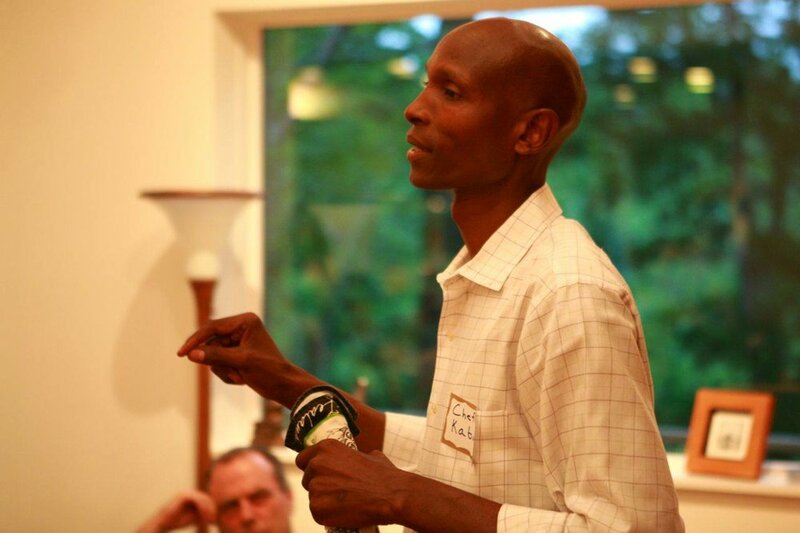 Chef Kabui will be speaking at the Kwanza Celebrations in Cary. 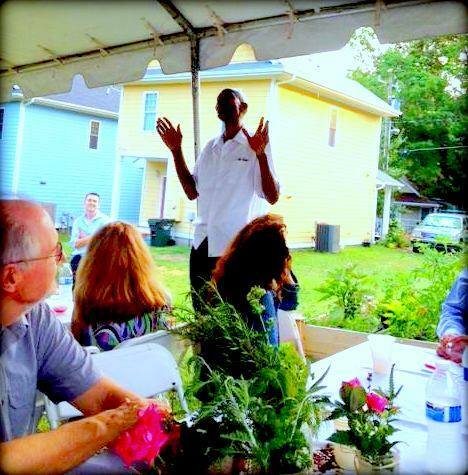 Chef Kabui will be in Sapelo Island for a food literacy workshop. 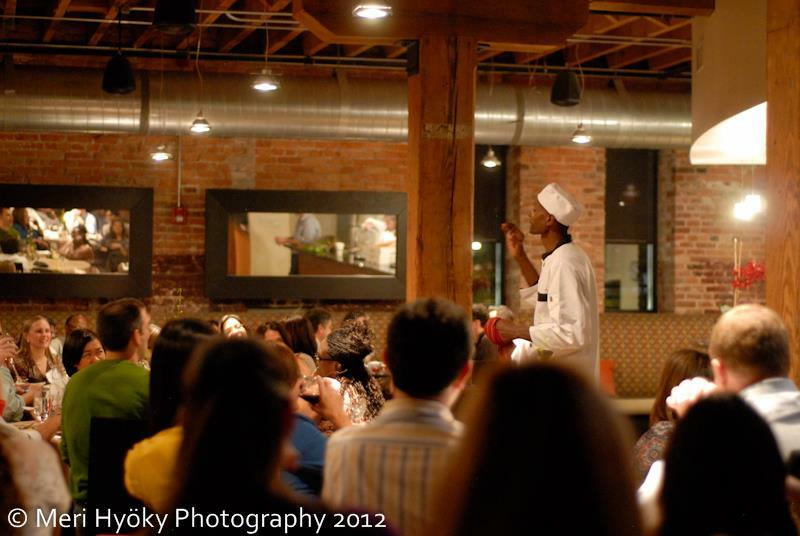 Chef Kabui will be speaking at University of North Carolina, Chapel Hill at the African American Studies Department. Chef Kabui will be speaking at Carborro Public Schools on the connection between Food and Science. 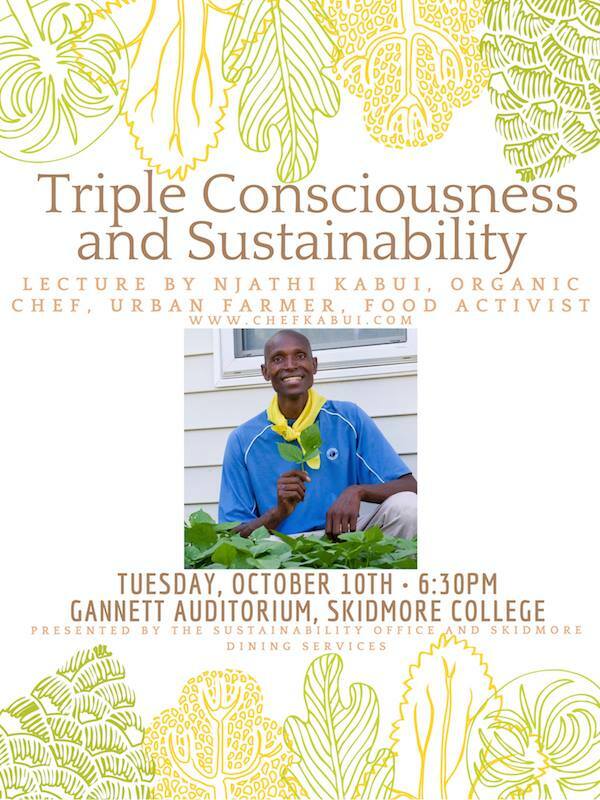 Chef Kabui will be giving a keynote Address at Skidmore College for the African Gala. Chef Kabui will be in Kenya for a food tour with Foodies Without Borders and will be doing a series of workshops and food literacy classes. He will also be collecting some data about Kenyan cuisine. Chef Kabui will be starting the Food Literacy Series at the Charlotte Rosa Park Farmers Market. Chef Kabui will be speaking at the Duke Smart Home, Duke University in Durham. It will be the 10th Anniversary for the Smart Home. 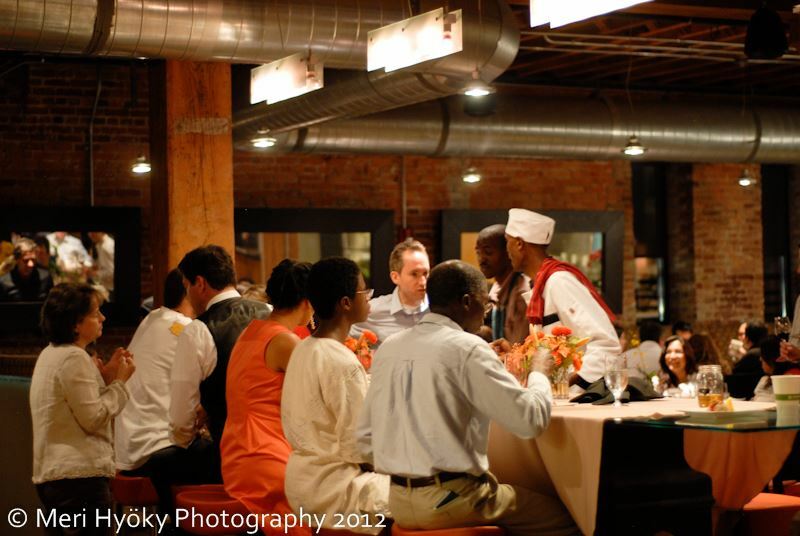 Chef Kabui will be in Charlotte for the Males Place Dinner. The event will be raising money for the organization to take a group of over 25 African American young men on a trip to Ghana. Chef Kabui will be a guest speaker for the Sustainable Food Center in Austin Texas and doing a cooking demonstration at the Down Town Farmers Market in Austin. Below is a clip of the cooking demonstration. Chef Kabui will be at the University of Texas, Austin for the Blackademics Series. It will be a day long event. The recording will later appear on TV later in the year. Chef Kabui will be speaking in Detroit Michigan on "Food and Colonialism"
Chef Kabui will be speaking at the University of Michigan at the Food Literacy For All symposium. Chef Kabui will be doing a residency at Kalamazoo College as a part of a Michigan Food Tour. His keynote lecture will be at The Arcus Center for Social Justice Leadership. 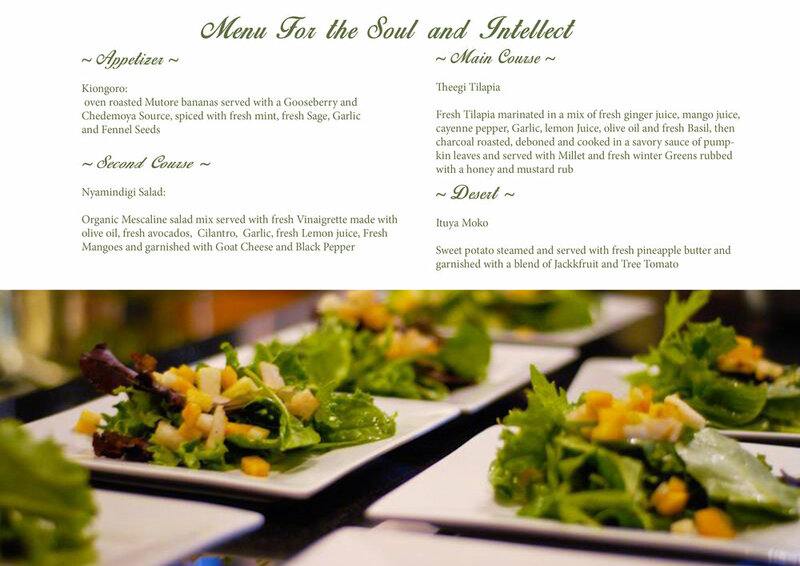 Chef Kabui will be in Atlanta for the launch of Mindful Eating. Chef Kabui is one of the twelve individuals who contributed a chapter each in the book. Chef Kabui will make the menu for the event. Venue: 265 Peachtree Center Avenue, Atlanta GA. Chef Kabui will be doing cooking demonstration and a talk about African Diaspora Cuisine at the North Carolina Museum of Art from 12 - 2.00. This will be the grand opening of the largest African exhibition at the Museum. Chef Kabui will be doing a residency at Rutgers University. He will be giving a number of lectures as well as working with their dining services to assist in adding some African recipes to their global menu. Chef Kabui will be in Atlanta for the launch of Mindful Eating. Chef Kabui is one of the twelve individuals who contributed a chapter each in the book. Cooking workshop--a follow-up to the Chef's dinner there last year. Location: Greenbier Farms, 766 Hester Store Rd., Easley S.C 29640. 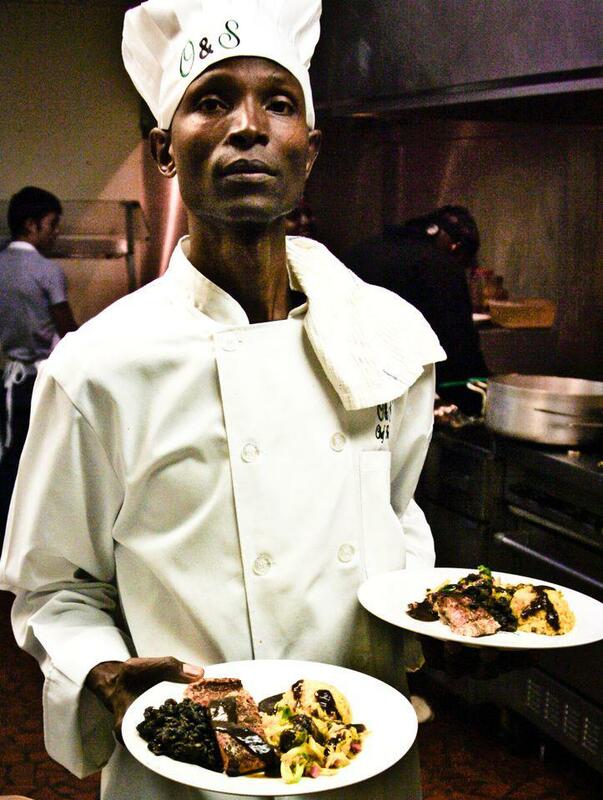 Chef Kabui will be the guest chef at Blue Blaze Brewing, 528 S. Turner Ave, Charlotte NC 28208. The Chef's dinner will be in celebration of Southern Food and the funds will go to support Paul Brewington, a local African American farmer. Location: Duke Smart Home, 1402 Faber St., Durham N.C 27705, from 6.00 - 9.00 P.M. This is an ecopological dinner. We will prepare a local menu four course menu followed by a lecture about racial justice. Location: 650 Abeyance Drive, Moncure N.C 27559. 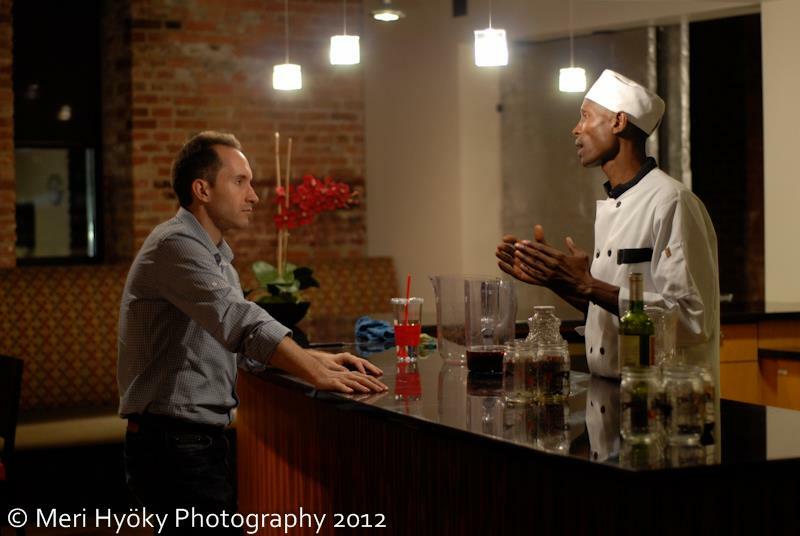 Chef Kabui will be doing Health Cooking Workshop every Tuesday at the Rosa for 10 weeks. Location: Mecklenburg Health Department, Charlotte, NC. Cooking demonstration at Parks Farmers Market from Noon to 1.00 p.m. Chef Kabui will be making an appearance at the grand opening of the African Exhibition at the North Carolina Museum of Art. 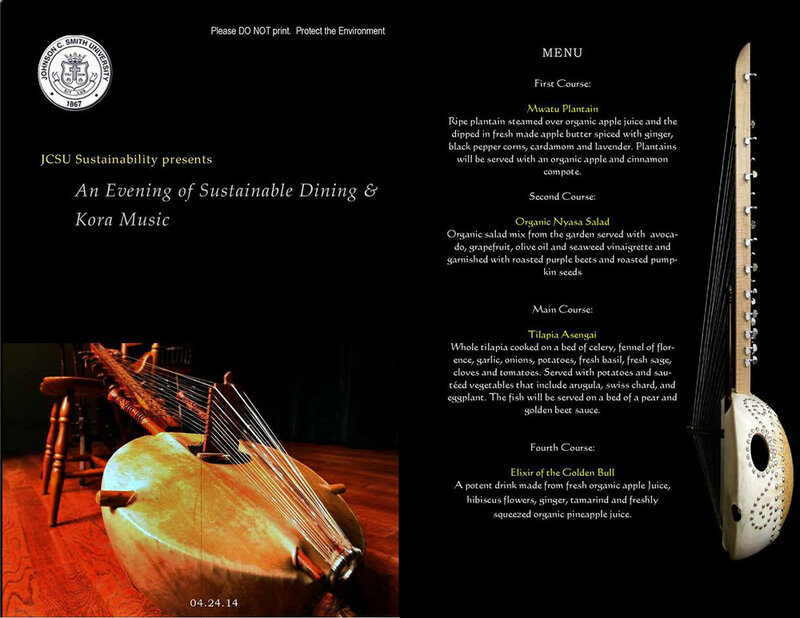 Chef Kabui will be hosting a number of ecological dinners and workshops on this days. Location: 2017 Swift Rd, Oviedo, Florida 32766. Sign up with your e-mail address to receive recipes, videos, writing, and info on future events. There are many ways to connect with the Chef. Follow him on Facebook and Twitter. Subscribe to his mailing list. Request his services. E-mail him at chefkabui@gmail.com, or enter a message below.